While Conor McGregor vs. Henry Cejudo more than likely never happens in an actual MMA match, at least there’s social media. Cejudo, the current UFC flyweight champion, responded to McGregor’s comments by telling him to worry about his skills. “Don’t worry about the flyweight division Conor. You should worry about your wrestling and grappling skills and your spirit!” the tweet, which has since been deleted, read. The newly-signed Ben Askren and former UFC Lightweight Champion Rafael dos Anjos also answered McGregor’s remarks. You’re drinking Too much whiskey, shut up you drunk. McGregor’s grappling skills have come into question since a submission loss to Nate Diaz at UFC 196 in March 2016, and they popped up again in the lead-up to his UFC 229 showdown with Khabib Nurmagomedov. McGregor was submitted by Nurmagomedov in the fourth round. UFC and ONE recently made MMA history with the first major trade between two promotions, as the UFC sent former longtime flyweight champion Demetrious Johnson to ONE in exchange for former ONE and Bellator welterweight champion Ben Askren. 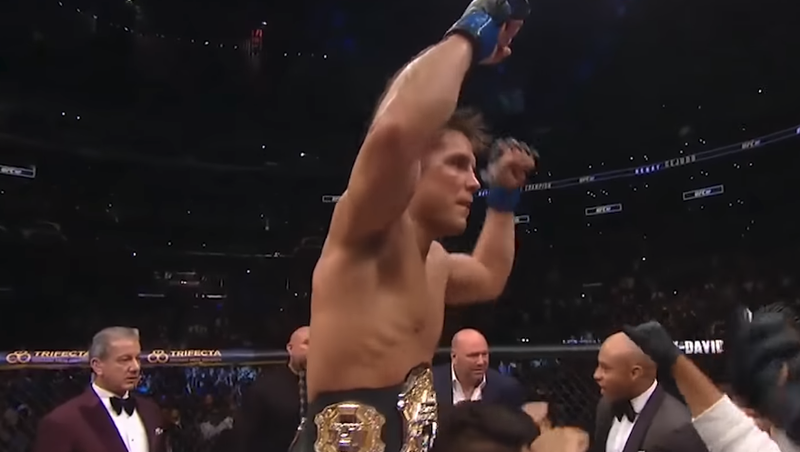 The UFC Flyweight Championship looks like it will see one more fight, however, as UFC Bantamweight Champion T.J. Dillashaw will move down to 125 to challenge Cejudo at UFC 233 in Anaheim this coming January. The bout is likely to serve as the event’s headliner.